All work and no art make Jorge go something something...Luckily for me, I have friends that are artistically inclined. 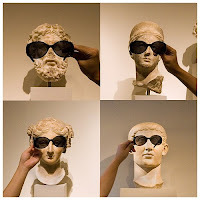 Why go somewhere else to check out art when art can come to you? These kids prove that Art comes in many ways. Check out more of Yuri's photos at his Flickr page. Elliot has a knack for capturing the moment and his technique is excellent...I don't know what that means, but he does take awesome photographs. His shots of the African Safari are breathtaking. His shots of a naked anti bush rally prove he's crazy enough to photograph anything. 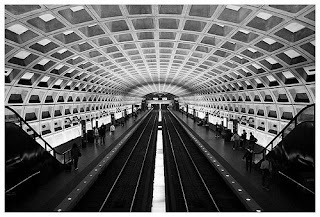 Check out more of Elliot's photos at his Flickr page. Anyone who has tried using Graffiti on Facebook understands just how impossible it is to make things beyond stick figures. Heck, my stick figures look like they have a couple of broken bones. Christina's drawings (left) and Jessie's drawings (right) make Graffiti seem like child's play. Joey once brought an Italian wine as part of his report for Italian class. To this day it is the best drink I've ever had, but for the life of me I can't remember the name. Since then, Joey has founded his own restaurant, Dell'Anima, in the village. I'm expecting big things. I always knew Eric, Ravi, and Atif dressed well. Now, I'm glad they have extended their sense of style to the rest of us. The Vane Collective is stylish, bold, and thought provoking. These three guys will no doubt keep it interesting. 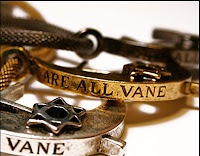 Check out The Vane Collective and why we are all Vane. I heard Jinny sing at a friend's house once, and I remember the room being very quiet after she finished. I finally spoke and said "That was freaking awesome." Point learned, Jinny is so good she leaves you speechless. Koo's music is lyrically and melodically brilliant. 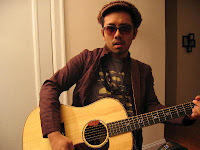 Think Jason Mraz but slightly more Asian. Even better for him, he's engaged to Jinny. Alex is probably right. He might get kicked out of school for videos like this. But then again this is why you want Alex to make videos like this. I wanted to point out that 2 out of the 4 graffiti featured on your page are from my facebook page. So... I'm totally awesome. Also, you should have made a shout-out to yourself, as you are quite the singer-songwriter. Victory is Mine! Jorge is also quite the model. hey guys, i just found this very nice post randomly and wanted to thank you all for the nice words!